• Aromatherapy Bath • Face care with Aromather.. • Body Care with Aroma Oil..
• Hair Care with Aromather.. • Skin Care and Essential ..
Elevating our moods by aroma oils and Curing the diseases are the obvious preferences with Essential oils. But there is one more application in which Aromatherapy is gaining more and more popularity. Today, millions of beauty parlors across the world are employing aroma oils in their beauty treatments. We don`t have to visit a beauty parlor to gain the immense makeover. Nor do we have to spend those hard-earned rupees like water. Aromatherapy enables us to set up our own beauty parlor at home. We are the best judge about the problem areas of our body and we also know about the fragrances of our choice; hence we can definitely be our own best aromatherapists for beauty. The overall look of the body combined with the wonderful fragrant feel actually brings out the best in us. Aroma oils can be employed to treat skin diseases and problems in different manner for different types of skin. It can be custom made for the requirement for our body that`s unique. Not only that, one can effectively fight wrinkles, cellulite and acne while having other holistic cures at the same time. Different aroma oils with different recipes are given for dry, oily, combined and mature skin. You just have to choose and apply. Treatment can be as easy as taking a bath with aroma oils, where you can relax and rejuvenate at the same time. 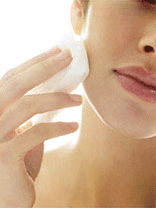 Body masks; massage recipes, recipes for face, hair and skin are all described in this section. · Skin care and essential salves. · Face care with Essential oils. · Essential oils in bath. · Hair care with essential oils. Did you know that Queen Cleopatra used essential oils in her daily beauty regime? Or that many courteseans of India and Europe used aroma oils to be the beauty icons of their times? Or that many kings and queens utilized essential oils in bath in their daily life? You don`t have to know why? Experience it yourself with Aromatherapy for personal care.